US Bankruptcy Case No. 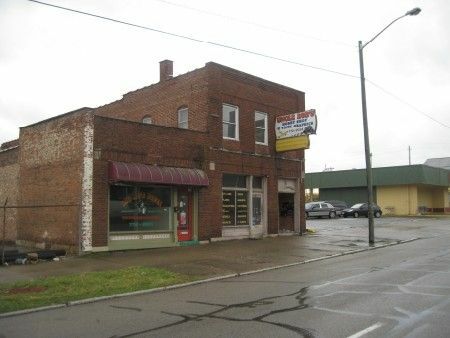 11-62554 Brick and frame two story building has two retail store fronts, 5 apartments on the second floor and a block, detached rental apartment at rear of building, off street parking, Auditor's Value: $135,940.00!! Property situated between Sac-N-Save grocery store and Worly Plumbing. This property was previously listed with another REALTOR and the asking price was $169,900.00. This property sold for $185,000 on Nov. 24, 2004. The building needs some work but the opportunity for an income producing property is here! Previous gross income was reported at $4,000 a month! 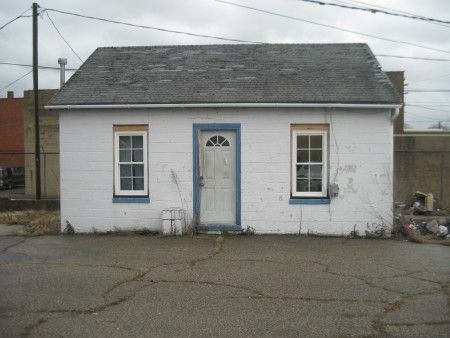 If you are handy and can do renovations - Don't miss out on this "Diamond in the Rough!" Real Estate Terms: Minimum Bid $40,000.00; $5,000.00 down at time of sale in cash or check w/photo ID; balance and possession at closing on or before June 4, 2012; offered free & clear prior to closing; taxed prorated to closing; sold in as-is condition, no warranties or guarantees given, expressed or implied; final bankruptcy court sale approval is necessary since this is a Judicial Court Ordered auction; no buyer contingencies exist. All information provided is to be utilized only as a guide. buyers are responsible to conduct any inspection, inquiry, investigation and due diligence regarding the property. Buyer agrees and understands that the seller makes no warranties or representations of any king either expressed or implied as to the condition, quality and merchantability of fitness for a particular purpose of the real estate or any part thereof and/or serviceability for the same. Buyer is buying property subject to any and all easements, leases, covenants and restricitons. The Agreement of the Auction is solely between the buyer and the seller. STANLEY & SON, INC. and its Agents are Exclusive Agents for the Seller.